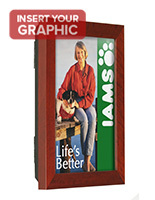 This aluminum sign frame is an extremely upscale wall display. 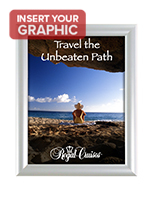 A document holder, such as this 11" x 17" poster display, is perfect for upscale environments where top quality is the only option. 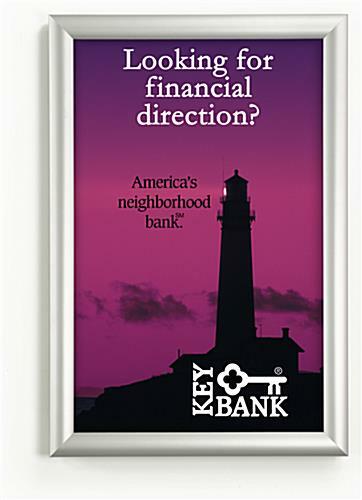 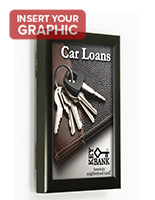 This aluminum sign frame features a swing open front door panel and features the patented gravity lock system (see inset image to the right). 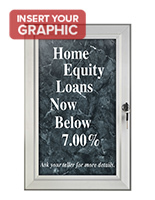 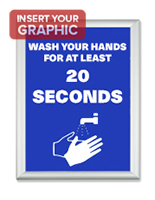 This swing open frame allows for quick and easy sign changes. 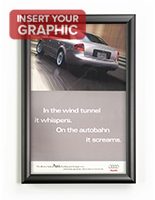 The wall accessory, this 11" x 17" document display is constructed from aluminum with a satin silver finish. 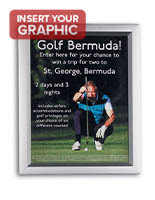 This aluminum sign frame, also known as a poster display, mounts to your wall utilizing a pre-attached mounting bracket (see inset image to right) and screws and anchors (provided).